Mia's first time wearing her dobok as a Cho Dan. What Soo Bahk Do means to me is strength (I have become much stronger), balance (I have learned how to be ‘heavy’ or ‘light’), safety (I have learned how to protect myself), being prepared (I have learned to be one step ahead of my opponent), and making good decisions (I have learned how to do the right thing). I started Soo Bahk Do in third grade. What it meant to me then is very much different from what is means to me today. Back then, Soo Bahk was a class for me to go to every week and it was something I liked doing with my friends. I had fun pairing up with my friends and working on my ‘one-steps’. I thought it was something I was just going to try, I didn’t know that I would keep training. I didn’t think that I was good enough to become a red belt. I grew to love and understand the art, but really I did not realize the deeper meaning of Soo Bahk Do until I was a green belt. As I became stronger and as my understanding of the art grew, I found myself loving it more and more. I started to realize that I could become a black belt and I began to feel more confidence in my abilities. I began to believe that I was actually good at it! My class and I ended up with the opportunity to go to California where I competed in a sparring competition. I hadn’t done a lot of sparring and in my final bout I was paired with a boy who was older and bigger than I was. I was scared and nervous, but did my best. Although I did not win, I did win third place! I was so proud of myself! Soo Bahk Do has helped shape me to become the person I am today. Master Corrales has helped me to understand and embrace the concept of “peaceful confidence”, and has helped me with my flexibility and my overall fitness. I have become stronger by being disciplined with my forms and my stances and in becoming healthier by respecting my body and eating correctly every day. What I mean is, I have been eating healthy food not junk food. That is why you don’t want to do drugs and drink to much alcohol because what you eat or drink plays a big role in your life! You have to understand that everybody has their bad days and everybody has had the thought of not wanting to go to class or even wanting to quit. I’ve had those days, but I have never thought about quitting. Soo Bahk Do is too important to me. Every time I would think about that, I would say to myself, “Are you really just going to give up like that?” or “Is that really the best sidekick I can do?” Knowing that I am almost a black belt, I think that giving up now would be the worst decision I’ve ever made. I’m so close and I’ve worked so hard to get this far that I can’t even imagine quitting. That’s not the kind of person I am. For example, there used to be six of us that were testing in April and I remember Master Gibbons calling us the six pack… Now there’s only four of us, and were all extremely excited to accomplish something that we’ve all been working on for so long. My friends that are testing with me are awesome when it comes to supporting you, they help me when I need it, they give me advice when I ask for it. Soo Bahk Do is something I look forward to every week and I enjoy it a lot. Master Brian Corrales has inspired me for so long, and Mr. Snarr has taught me to be confident in myself. Mr. Rios is what I want to look like when I’m an E-Dan and I will always look up to him. He is always working hard and giving class a lot of effort. He is usually the one that is sweating the most after class. And he stinks. 🙂 Mr. Snarr always shows incredible discipline and is a huge mentor. He is always encouraging me with my breaks and helps me polish my technique. Master Corrales is the master of discipline. He expects and encourages 110% from me every day. Master Corrales is also a great mentor. Master Corrales has helped me to believe that a person’s physical size is not as important as ones mental strength and determination. He has taught me that through hard work and discipline that I can become anything I want to be. Soo Bahk Do has also helped me with my schoolwork. For example, I used to hate taking tests. I would get so worked up over them and because of the pressure; I would not do very well. Soo Bahk Do has taught me that if I try hard enough and set my mind to it, I can do it, and I can succeed. Soo Bahk Do is like another world for me. I can go to class and just forget about my day, or my problems. I become one with the art. I think that some day Soo Bahk Do will not only change my life but it will help me to change the lives of other people, too. I think that every body should try to do Soo Bahk Do. I think it will change a lot of people’s minds about Martial Arts. A lot of people think its just kicks and punches and fighting. But really it’s not! It is so much more. It is a way of life. It is a way of being successful and a way of being healthy throughout life. Soo Bahk Do is one of the best decisions I ever made. Master Corrales told me, “You can’t run too fast for too long.” He told me that because I have a busy schedule. I know that sooner or later I will not be continuing with one of my sports, but I hope I can continue Soo Bahk for a very long time. I am very lucky to be able to train Soo Bahk Do and I’m very lucky that I have such a great instructor. That is what Soo Bahk Do means to me. Ryu Pa is a Korean term that means “a river flowing down divided”. This is the term used for the word “style”. Ryu Pa denotes the natural progression and change of a craft or art throughout history. It is akin to the natural evolution of life as the world in which we live changes. The martial arts (moo yei) is no different. The Moo Duk Kwan style was created by the late Hwang Kee in 1945. Anyone associated with martial arts styles such as Tae Kwan Do, Tang Soo Do, Hwa Soo Do, Soo Bahk Do and other Korean Karate styles likely share Hwang Kee’s Moo Duk Kwan as the foundational Ryu Pa (Style). For any Korean martial art practitioner that can trace his/her roots to the Moo Duk Kwan, it is important to understand the history, traditions, and philosophy of Hwang Kee Chang Shi Ja (Founder) and how it applied to his martial arts training and style. Only then will your eyes begin to open to who you are as a practitioner. This is similar to mankind’s curiosity towards his personal ancestors. We seek after those who have gone before us as they are a part of our unique identity. The scope of this article is to highlight Hwang Kee Chang Shi Ja’s personal training history as well as the training history of his direct line. To begin, Hwang Kee’s training can be divided into 4 specific areas: Tae Kyun, Master Yang Kuk Jin, Okinawan Karate, and Soo Bahk. When Hwang Kee was only 7, he witnessed a fight with a Tae Kyun master defend himself against a large group of men. Hwang Kee was so impressed that he followed the man home and eventually asked to learn. Hwang Kee was refused because he was too young. Determined, Hwang Kee woud watch from a distance as the master would teach Tae Kyun. Though he never received formal training in Tae Kyun, some considered him a master in his own right by the age of 22. Later, Hwang Kee went to Manchuria to work on the railroad. There he was able to train with Yang Kuk Jin, a master of the Chinese martial arts. Here Hwang Kee received his only formal training which included Seh Bop (Postures), Bo Bop (steps) and Ryun Bop (Conditioning). He also trained in Dham Toi Sip E Ro (12 Step Tan Tui) and Tae Kuk Kwon (Tai Chi). This is all that is written in the history books, however, after further study of the Chinese Arts, it’s safe to assume that the Seh Bop and Bo Bop was Ship Sam Seh training that comprises 8 postures and 5 Steps. See my article on the Ship Sam Seh. Ryun Bop was most likely conditioning of the hands and feet as well as Ki Gong (Internal Energy Exercises) such as Moo Pahl Dan Kuhm (Ba Duan Jin or 8 Section Brocade) and Yuk Keun Kyung (Yi Jin Jing or Changing Tendon Exercises). You will find that the Chil Sung and Yuk Ro Hyung were greatly influenced by Dham Toi Sip E Ro and Tae Kuk Kwon. Future articles will be written on this topic. When Hwang Kee returned to Korea, he read books on Okinawan Karate. The exact titles are unknown. After World War II, Hwang Kee opened a school teaching a new system that he created called Hwa Soo Do. This style was heavily influenced by his training in Manchuria. However, because of the Japanese Occupation of Korea, his art was not very well received. One day, he spoke with the founders of Ji Do Kwan and Chung Do Kwan. Chung Do Kwan was teaching Tang Soo Do, which had roots in Shotokan. Ji Do Kwan was teaching Kong Soo Do, which had roots in Judo. Both of these styles had many more students than the Moo Duk Kwan. After meeting these two founders, Hwang Kee decided he needed to integrate the art of “Tang Soo Do” into the Hwa Soo Do discipline. At the time, Tang Soo Do was the only term for a “Karate-type” discipline that the public would recognize and accept because of their Japanese doctrinization during the past 50 years. From the knowledge he had acquired from studying Japanese books, he began teaching Tang Soo Do while applying the Hwa Soo Do discipline of techniques. This included a unique use of offensive and defensive hip movements in all hand techniques. Kicks also had a unique way of extending the hips on all thrust kicks. These along with other characteristics distinguished the Moo Duk Kwan system from others teaching “Tang Soo Do”. In 1957, Hwang Kee discovered the Kwon Bup section of the Moo Yei Do Bo Tong Ji, the oldest Korean martial arts text known today. Kwon Bup means “fist method”. The Kwon Bup section describes the Kwon Bup fighting style and talks of an older style called “Soo Bahk Ki” or Soo Bahk Hee” which means hand striking techniques or dance. He recognized the importance of “Soo Bahk” as a Korean traditional martial art and studied the book in depth. 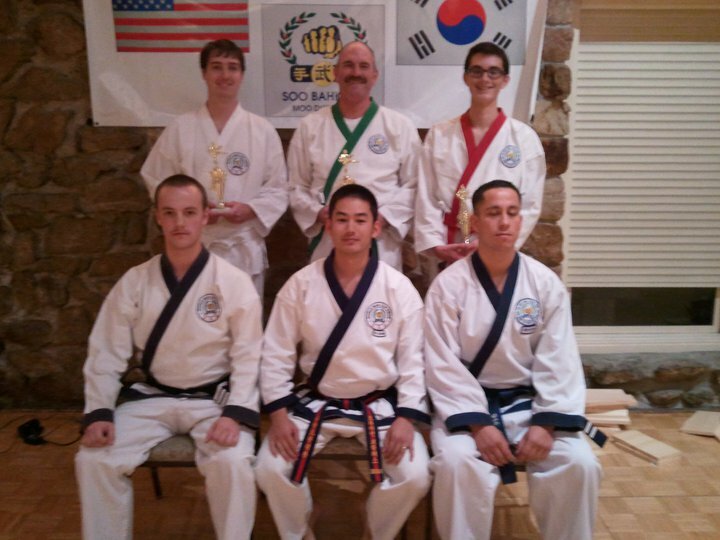 The Moo Duk Kwan began another transformation as Hwang Kee implemented the Soo Bahk system into the Moo Duk Kwan. This implementation has continued until the present day where the Moo Duk Kwan now practices forms taken from and based upon the teachings from the Moo Yei Do Bo Tong Ji. In the 1990’s, the Moo Duk Kwan in the United States formally changed its name from the United States Tang Soo Do Moo Duk Kwan Federation to the United States Soo Bahk Do Moo Duk Kwan Federation. The change of the name outwardly demonstrates the Moo Duk Kwan’s change of focus from the Tang Soo Do curriculum that had a strong base in the Okinawan Karate forms to the unique Soo Bahk Do forms created by Hwang Kee such as Chil Sung, Yuk Ro, and Hwa Sun. The Moo Duk Kwan today teaches the combined knowledge that Hwang Kee, Chang Shi Ja left to his son and successor, Hwang Hyun Chul Kwan Jang Nim. The system is largely influenced by his teacher in China and his findings in the Moo Yei Do Bo Tong Ji along with his unique contribution on the execution of basic techniques (unique use of hip). The “Tang Soo Do” forms are also taught, but less emphasis is placed on them today. 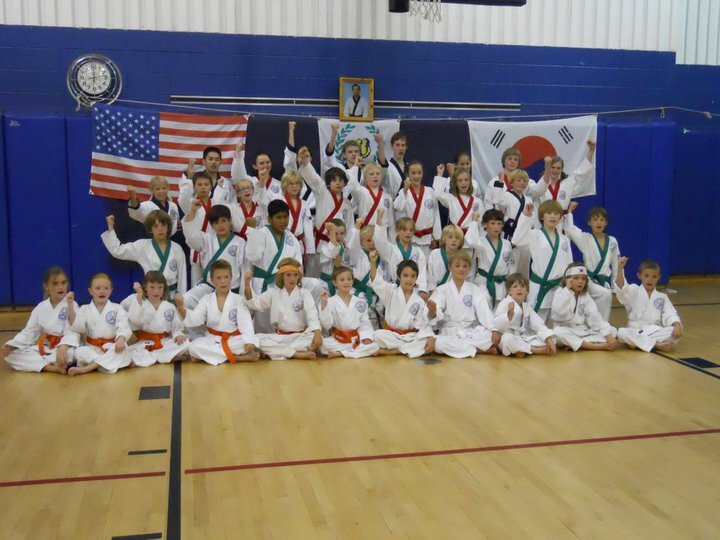 Below is a description of our school’s Rya Pa, which is also the lineage of all of the Moo Duk Kwan practitioners within the United States Region 8 (geographic area of the Moo Duk Kwan comprising Montana, Idaho, Utah, Wyoming, Colorado, Arizona, and New Mexico). Jeff Moonitz, Hu Kyun In is currently the head of our Region and all of the certified studio owners and instructors come under his leadership. Let us take a moment to understand some of the unique contributions of each of these Moo Do Pioneers that have helped mold our Ryu Pa into what it is today. Not much is known about Oh, Sae Jung. He trained in Seoul at the Y.M.C.A. and trained beside C.I Kim. He would be 87 if he were alive today. More research needs to be done to learn more. Shin, Jae Chul was a direct student of both Oh, Sae Jung and Hwang Kee, Chang Shi Ja. After achieving Cho Dan, he began teaching at Osan Air Base in South Korea. There he taught Koreans and Americans a like. It was there that he began teaching Chuck Norris, likely the most well-known Moo Duk Kwan practitioner of all time. Later, Chuck Norris would sponsor Master Shin, Jae Chul to the United States, becoming one of the first Korean Moo Duk Kwan instructors to come to the United States. Master Shin, Jae Chul would be instrumental in helping to establish the US Tang Soo Do Moo Duk Kwan Federation in Springfield, New Jersey. In 1982, he left the Federation and the Moo Duk Kwan for personal reasons and created the World Tang Soo Do Association. Master Carlos Norris trained at Osan Air Base in Korea. In his early days, Master Norris was a very successful tournament fighter and held on to the Professional Middleweight Karate champion title for six years. Later on he would rise to fame as a martial arts actor for a variety of action films. For many of his direct descendants, we remember Master Norris for creating a variation of the Ki Cho forms called Ki Cho Hyung Il Bu Sang Gup and Ki Cho Hyung E Bu Sang Gup. These two forms add variety to our training and we hold it as a unique tradition within Region 8. Ki Cho Hyung Il Bu Sang Gup is performed by executing a front thrust kick prior to each punch in Ki Cho Hyung Il Bu, working on proper posture and balance. Ki Cho Hyung E Bu Sang Gup is the same as Ki Cho Hyung Il Bu Sang Gup except for the run down the center performs the following combination: low block, reverse center punch; high block, reverse center punch; inside/outside block, reverse center punch; outside/inside block, reverse punch. Martinov, Sa Bom Nim is one of a handful Gu Dans (9th degree black belt) in the world. He was promoted by Hwang, Hyun Chul Kwan Jang Nim–the son of Founder Hwang Kee. Martinov, Sa Bom Nim is a charter member who helped bring Hwang Kee, Chang Shi Ja to the United States and helped created the United States Tang Soo Do Moo Duk Kwan Federation, later named the US Soo Bahk Do Moo Duk Kwan Federation. Martinov, Sa Bom Nim spent decades as a member of the Technical Advisory Committee and is now a member of the Senior Advisory Committee and acts as a personal advisor to Hwang, Hyun Chul Kwan Jang Nim. His contributions and reach spans the entire United States and is considered the Grandfather of Region 8. Many of the lessons learned include: Unbendable Arm Technique, Aikido-style footwork such as step and a half pivot, Effective Knife Defenses, and a sense of natural heaviness in your technique. The list will go on and on. 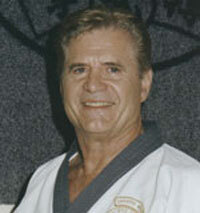 Martinov, Sa Bom Nim was a direct student of Master Norris until Master Norris decided to leave the Moo Duk Kwan. He took Moonitz Sa Bom Nim as a student and came in direct contact with Hwang Kee, Chang Shi Ja. Moonitz, Sa Bom Nim is currently a Pal Dan (8th degree black belt) and was promoted this honorary rank by Hwang, Hyun Chul Kwan Jang Nim. Like Martinov, Sa Bom Nim, he was an original charter member, who helped found the US Tang Soo Do Moo Duk Kwan Federation. He currently sits as a Hu Kyun In, or Guardian of the Art and is an advisor to the current Technical Advisory Committee. Moonitz, Sa Bom Nim was on the sparring team under Master Norris and was a very successful competitor. After Master Norris left the Moo Duk Kwan, Moonitz, Sa Bom Nim began training under the direction of Martinov, Sa Bom Nim while running his own successful school as a red belt. Moonitz, Sa Bom Nim is well known for creating within our Region the Tae Kuk breathing exercises. Being a successful tournament fighter, Moonitz, Sa Bom Nim has also taught his students his signature, high speed round kick and reverse punch. Oliver Whitcomb, Sa Bom Nim is my personal instructor from Hailey, Idaho. Where I am today is because of him and his mentorship over the years. He is currently a Yuk Dan (6th Dan) and is the Regional Examiner for Region 8. Whitcomb, Sa Bom Nim is known for his strong moo do and unique conditioning techniques. He received a BA from the University of Washington in East Asian Studies and speaks Korean. Luckily, the art continues to evolve in a natural direction. A special thanks to all of the individuals listed for their sacrifices and contributions to the art of Soo Bahk Do Moo Duk Kwan. Many of them have dedicated their life to this art and have greatly influenced the natural progression of Ryu Pa through their leadership. As the rising Gups, Dans and Ko Dan Ja continue on their moo do path, may we remember to train hard, maintain perspective of our unique history, and dedicate ourselves to the preservation and natural development of Ryu Pa into the future. If you have a personal memory, story, or lesson learned related to anyone listed in this article, please post a comment. Never has it been easier to stay connected to the roots of Tang Soo Do (Soo Bahk Do) Moo Duk Kwan. Whether you are currently active in the World Moo Duk Kwan under the direction of Grandmaster H.C. Hwang (son of Founder Hwang Kee) or your lineage is connected to the Founder in some way, then this new website is for you. It’s important to note that anyone who trains in Tang Soo Do or Soo Bahk Do can trace his or her history back to the founder of the Moo Duk Kwan, Hwang Kee, Kwan Jang Nim. Even most members of Tae Kwon Do trace their roots back to Grandmaster Hwang Kee. The Soo Bahk Do Institute is the body of knowledge of the World Moo Duk Kwan with videos of Grandmaster H.C. Hwang and others demonstrating every aspect of this classical martial art. Every form is demonstrated including the form series Ki Cho, Pyong Ahn, Naihanji, Chil Sung, and Yuk Ro. It includes additional traditional Japanese forms like Bassai, Jin Do, Lo Hai, Kong Sang Koon, Sip Soo, O Sip Sa Bo, Wang Shu, and Ji-On. There is even historic information on rarely seen Hwa Sun Hyung. It is important to remember that if you truly want to learn the material within the Soo Bahk Do Institute, you should connect with your closest certified instructor in the Moo Duk Kwan. If you would like help locating a certified instructor in your area, leave a comment. If you are in the Salt Lake City area, let’s get in touch as I am a registered affiliate of the Soo Bahk Do Institute and a certified instructor under the Moo Duk Kwan. 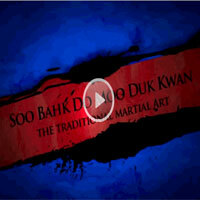 Listen to Grandmaster H.C. Hwang’s message on the Soo Bahk Do Institute here. Our very own assistant instructor and BYU student, Caulin Snarr, was chosen by BYU-TV to do a story on him. Please follow the link below to see the 5 minute story! The three key concepts I will specify are 1)CHUNG JIK; Honesty 2)SHIN CHOOK; Tension Relaxation and 3)CHUNG SHIN TONG IL; Concentration. These three concepts are my favorites at this time in my MOO DO training because I feel it impossible to assess my past, presence, and future performance without being honest with myself and others. As I face a SHIM SA I must concentrate on the skills necessary for advancement and balance that concentration with the wisdom of the SIP SAM SEH; ‘Bent and stretched, open and closed, Let nature take its course…Skill will take care of itself.’ The natural and essential movement of my lungs teaches me of the continual concept of SHIN CHOOK. The benefits of the eight key concepts are the high definition and unity they bring as a SOO BAHK DO practitioner incorporates them into his art. They are the keys to WEH GONG, NEH GONG, and SHIM GONG. One of the key concepts-HIM CHO CHUNG; Control of power directly expresses this benefit. Without YONG GI; Courage, IN NEH; Endurance, and KYUM SON; Humility-the combat is over before it begins. In order to fight in justice and rightness we must fight as God gives us the light to see right, then our action philosophy takes over and we preserve life and freedom with the appreciate movement, applying the key concept of WAN GUP; Speed Control. 1975 seems like a pivotal time in the history of SOO BAHK DO MOO DUK KWAN in the United States and around the world, as our style and school reached a more perfect unity and standard. While Kwang Ja Nim Hwang Kee studied ancient texts and different martial art styles, the Federation and Dan pedigrees ensured a tradition with a heritage and a future. The five MOO DO values are driven for me by KI SOOL; Technique- because of the detail and precision of movement which pushes my mind to remember the history; YEOK SA, appreciate the Tradition; JON TONG, and live by the Philosophy; CHUL HAK, as I work and learn in the DO JANG, where I balance Discipline/Respect; NEH KHANG WEH YU, and develop etiquette with others. The Ten Articles of Faith on Mental Training are harmonized in the three flags we salute before any training. I am an American and saluting this flag reminds me of my loyalty to my country, obedience to my parents, and love for my wife, all who are Americans and many who were American soldiers. Saluting the Republic of Korea flag reminds me to cooperate with my brothers, respect my elders, be a faithful student and teacher, and be faithful with friends. And lastly, saluting our flag reminds me to face combat in justice and honor, never retreating, and finishing what I start. I hope you all enjoyed the holidays with your family. I’m getting ready for our next round of classes next week and wanted to pass on some information to all of you in preparation. Please note that Monday classes will be designed to go over theory, philosophy, and testing material. Wednesday classes will be devoted towards stretching, conditioning, and free sparring. I would love for some of the parents to join in the Soo Bahk Do classes. I know that many families have really benefited from Soo Bahk Do together. Parents can train free this January and your child is welcome to attend some of the adult classes so that you can get some additional time with them. I encourage you to give it a try. It’s a great way to help improve your overall well-being, including reducing stress and getting in shape. Ongoing family discounts are also available. I hope everyone will support our guest instructor who is traveling from Sun Valley, Idaho to teach us various seminars on January 21 and 22. We will likely have some of his students participating as well as the instructor from Whitefish, Montana-Andy Hamer, Kyo Sa-attending. It will be a fun event. Registration is $25.00 and is open to all students 7 years old and up. I hope all of you will support this event so we can have others like it. We will be holding a sparring tournament on March 19th unless someone notifies me that it’s a holiday or spring break that I’m not aware of. This will be a Saturday event, likely at the McGillis School gym where we will have a sparring competition. This should be fun for kids and adults. Sawtooth Martial Arts in Sun Valley, Idaho will be participating as well. To prepare for the tournament, we will all need to get Federation approved sparring gear. These are very cheap and includes headgear, cloth hand guards, mouthpiece, and groin cup for males. More information forthcoming on how to purchase these. On April 29-30, we are hosting the 127th Dan Classing Championships for the second time. This is a historic event where students who wish to test for 1st, 2nd, and 3rd dan as well as Kyo Sa (teaching certification) demonstrate in front of a panel of masters. This is open to the public and is a great way to make the art of Soo Bahk Do visible to others. The event is supplemented with various seminars, banquets, and other activities. You can think of it as a Soo Bahk Do convention. I need everyone to mark this on their calendars as this is a very mandatory event to attend in support of the art and a great learning experience to rub shoulders with others who have dedicated themselves to Soo Bahk Do. Determining discounted lodging accommodations for travelers (we plan on 100 participants). Location and menu for Saturday Banquet (I would prefer a Korean restaurant for this either Myung Ga or similar). Video recording of the test. Seating, flag, and table set up. On site medic (perhaps one of the parents who are a doctor or nurse wouldn’t mind volunteering? I would love for any artists to help me think of a good t-shirt to go with the Dan Test. Your help would be welcome. Also, what types of products would you like to have such as bags, water bottles, hats, sweaters, etc. Don’t forget to pay for your winter block (January-March) online or bring a check next week. Many of you have not yet registered for the next session. Ryan Rios, Jo Kyo has opened a location in Clearfield where he will be teaching an 8-week course at the Clearfield Aquatics Center. If you know anyone in the area who would enjoy a Saturday morning class, contact Mr. Rios at 801-510-9169 or rios707@sbcglobal.net. He is teaching kids and adult classes. I hope we have a fun lineup this year. I hope to have information on this summer’s National Festival and Championships soon and will notify you when I have more information on that. I look forward to seeing you all again next week. Wednesday the 17th, we had our 2nd semi-annual board breaking tournament. We had 24 competitors and 3 judges along with everyone’s families in attendance. I thank you for your support and know everyone had a great time. Everyone should be proud of their accomplishments. Below are the results of the tournament as well as some videos of the winning breaks. For more videos, please visit our YouTube page. This fall, during the 126th Dan Classing Championships, we created history as the Youth Ambassador Program was unveiled to each of the 10 Regions that represent the US Soo Bahk Do Moo Duk Kwan Federation. This program was a result of Kwan Jang Nim Hwang’s wishes that regional and national seminars would begin to have a new track for kids, teenagers, and young adults that would suit their unique needs, interests, and abilities. The Regional Examiners from each of the 10 Regions appointed one Youth Ambassador representative and one of those representatives would become the US Youth Ambassador and represent the USA at an international level. That person is currently Katie Worley, Jo Kyo. The Youth Ambassador’s mission is to create fun, dynamic training opportunities for kids, teenagers, and young adults while still aligning the trainings with the same theme and purpose as the TAC seminars for that year. This year’s topic being Moo Do Jaseh and a fusion of Chun Jin and Hu Jin motions in the form of Sam Soo Sik Dae Ryun, the Youth Ambassadors decided to give a seminar with a similar focus. The following are some major takeaways from the seminar that will be useful for instructors and students alike to add additional repetitions to the exercises taught. Bodhidharma was an Indian Buddhist Monk born into either the Brahman or Warrior class. This high status gave him a good education and a privileged life. After seeing the suffering of those under him, he gave up his status and birthright and became a hermit, hiking over the Himalayan Mountains into China. He eventually encountered a monastery of feeble monks who could neither provide for their physical needs nor protect themselves from bandits. He tried to teach the monks to protect themselves and improve their physical strength and health. Unfortunately, his guidance was not wanted and he was sent away. Bodhidharma spent the next 9 years in a mountain cave meditating. Showing perfect stillness and discipline, he meditated on how to best help the monks. Legend says that once he lost his discipline and fell asleep during his wall gazing. He was so upset by his lack of discipline and awareness, he ripped his eyelids off so he could never fall asleep again. As he continued to meditate, his eyelashes became seeds of the tea plant, which today helps monks stay awake during very difficult meditation practices. Bodhidharma eventually left the mountain and returned to the monastery. It is said that what he taught the monks was the beginnings of the Shaolin style (So Rim). He is considered not only the founder of Shaolin Kung Fu (So Rim Jang Kwon), but also of Chan (Zen) Buddhism. There are many oral and written legends about Bodhidharma. There is substantial evidence that Bodhidharma did exist, however, various conflicting stories make it hard to decipher truth from legend. What we can extract from this is that what we consider to be traditional East Asian martial arts began with a strong foundation of moo do jaseh. This story is the very embodiment of moo do: discipline, stillness, and awareness that will lead to self-mastery. The following two exercises will challenge the practitioner in discipline, stillness, and awareness. This was the heart of the routines taught in the Youth Ambassador Seminar. Two participants are tied to each other, one moving forward with Choong Dan Kong Kyuk and the other retreating with a Hu Gul Jaseh and a natural block (Pahkesu Ahnuro Mahkee). Neither side should pull on the rope or allow the rope to drag. Keep the rope tight at all times. This next exercise comes from Chil Sung Sam Lo (pronounced Sam No) and Chil Sung Yuk Ro (pronounced Yoong No). The following videos will do a good job explaining how it works. In the first video, please pay attention how I break down the sweep. It is important to get the hand positions correct on each step of the sweeps. Use the strength of your legs as you transition from one sweep to the next. As you perform each sweep, don’t emphasize moving your leg, rather the twisting of your body using your waist (Hu Ri). Don’t forget your foundational Soo Bahk training! Remember, this is not an easy combination and is very physically demanding. Only extreme effort will result in success. Below is an article that was presented during this year’s Nationals at the beginning of the event. This year’s theme is Moo Do Jaseh and this article gives a description of what that is and what the true purpose of our art is. This article was researched by D.K. Jang Sa Bom Nim. Earlier this year, I went to Santa Barbara and Sa Bom Nim Jang dictated his research to me and I compiled it into essay form. This final copy was reviewed by Sa Bom Nim Jang and approved. All of the beautiful calligraphy was written by Sa Bom Nim Jang. Soo Bahk Do is our moo do, or martial art. The “art”, or “Do”, is a language of the spirit and body, therefore, “moo do” is our language of spirit and body through martial training. It’s not what moo do is that’s important, but how we express it that matters. Many practitioners believe Soo Bahk Do translates to “hand strike way”. This is an inaccurate translation and does little to describe our art by labeling it as merely a form of attack. Soo Bahk Do is not defined as a method to strike with the hands, rather Soo Bahk Do is a tool to strengthen our spiritual and physical language and improve overall personal well-being. Seal Script for the term Soo Bahk Do. Figure 1. The middle finger represents the spine. The index and ring fingers represent the legs. The thumb and little finger represents the arms. The term “Bahk” has many meanings including to tangle, twist, turn over, pound, or change. An example would be a farmer turning over the soil which is a form of cultivating the earth. Another example would be a smith who works with metal by pounding and folding it to produce something of value. Every translation has one thing in common: Bahk is a term to improve or cultivate. The symbol on the left is the same symbol for “Soo” showing a human change. Just as a farmer and smith put forth tremendous effort and hard work to achieve the desired result, we as Moo Do In (Martial Art Practitioners) must give sincere effort as well. Physical cultivation will only come after intense physical conditioning as you pound, twist, and change your body. The same process is required for a spiritual change. Only after you are exposed to life’s challenges and successfully overcome them by choosing the path of virtue can you achieve spiritual refinement. “Do” is an abstract term that is roughly translated as a spiritual way or path. The left side of the character signifies a road or path and the right side stands for head. Do can be expressed and observed through our actions. Our skin, muscles, and bones relate to our external, physical health. In order to strengthen our body, we need to apply a scientific method. This is accomplished in the do-jang as we improve our strength, endurance, flexibility, and technique. We strengthen and improve our physical body through Weh-Kong. Our internal health relates to how we eat, sleep, and breathe. Training in both Moo Pahl Dan Kuhm and Moon Pahl Dan Kuhm (Standing and Sitting 8 Pieces Brocade) will improve the health of the internal organs through Ki-Kong breathing and an understanding of O-Haeng. Our internal health is closely coupled with O-Haeng, O-Ki, and the related 5 internal organs: Kidney, Liver, Heart, Lung, and Spleen. Regretably, few Moo Do In understand the relationships of O-Haeng, but is a vital component to the training of Nae-Kong 內功 (sincere internal effort). Our spirit, or ma’ulm, relates to our heart or soul. It is not intellectual, but spiritual. Enhanced intellect is only beneficial as long as it is applied to cultivate one of these three distinct areas: Weh-Kong, Neh-Kong, or Shim-Kong. The value of the 8 Key Concepts, for example, is much more than a standard for improved martial technique. Courage, concentration, endurance, honesty, humility, and others are principles that need to be engraven in your ma’ulm, and revealed in your every action—both in and out of the do-jang. This is Shim-Kong 心 功 (sincere spiritual effort) training. All three work together to find well-being. The composite gives us good health and longevity. Soo Bahk Do is the vehicle to improve each of these three aspects of our selves and that is the purpose of Soo Bahk Do. Kohn Kyung means sincere effort. In order to improve yourself in these three areas, it’s important that you have sincere effort. Kong 功is another term that translates to effort and is the basis for the terms Shim-Kong, Nae-Kong, and Weh-Kong. Only by exercising sincere effort in cultivating the soul, breath and internal organs, and the physical body, will a Soo Bahk Do practitioner succeed in the purpose of Soo Bahk Do. Um Yang is balance, which stands for harmony. Ship Sam Seh which comprises Pal Gwe and Oh Haeng (not to be confused with the Song of Ship Sam Seh). Calligraphy for Do Jang. Figure 2. The Do-jang is the place where we train Soo Bahk Do. Not so long ago, nature was the dojang since there were no formal dojangs with beautiful, painted walls; soft mats or polished wood floors; modern kicking bags and plush targets; or air conditioning and heating. The dojang was outside with whatever conditions Nature was willing to give you. Even then, there was still a sense of do-jang, called do ryang, which is a Buddhist term. In Buddhism, outside of the main temple structure, there was a do ryang, or place of awakening. Traditionally, the monks would clean the dirt around the do ryang before they became monks. This was a way for them to clean their ma’ulm and connect with the Buddha. The term do-jang comes after World War II where formal structures were erected called do-jang. “Jang” has two parts. The first is “place” and the second is “change” . Do-jang is the place to change your “do” or your “ma’ulm”. See figure 2 for the calligraphy. It is the place to cultivate your soul and improve self well-being through sincere effort in Weh-Kong, Nae-Kong, and Shim-Kong training. It is not just a place to memorize your forms or learn new martial techniques. Both of these are additional tools used to improve the self. Calligraphy for Do Bok. Figure 3. In the do-jang, we need to wear do-bok. Do-bok means wearing your soul (ma’ulm). When we wear our do-bok in the do-jang, we are reminded that we are here to try and change and improve our ma’ulm and that my ma’ulm is visible to others through my actions. The way you put on your do-bok or the way you care for your do-bok will say much about your ma’ulm. The physical expression of Soo Bahk Do is moo do jaseh. We know that moo do is a language (spiritual or physical language). Jaseh is a posture. We need a good posture of both physical and spiritual. Ja means manner and beauty. Seh means aspect or strength. A way of doing something or the way in which something is done or happens. A way of acting, bearing, or behavior. Socially correct way of acting. A way that something can be viewed by the mind. Calligraphy for Moo Do Jaseh. Figure 4. Moo Do Jaseh is a physical manifestation of your ma’ulm. Therefore, the way you perform the moo do jaseh will determine how close you are to the art of Soo Bahk Do. The way you present a Chun Gul Jaseh, for example, is a manifestation of your ma’ulm. Likewise, the way you wear your do bok will say a lot about who you are as a person. A dirty, wrinkled do bok will tell a different story than a clean, crisp one. Moo Do Jaseh is everything in our training including the way you tie your belt and the way you communicate with your juniors, seniors, and the general public. Moo Do Jaseh is manifested through your walk, your tone of voice, your words, and your actions. From a spiritual perspective, all ethical behavior is proper moo do jaseh and can be summarized by the term Duk Haeng—Virtuous Action. Moo Do Jaseh should be made manifest in our every action. If this is the case, then every action will reflect our philosophy. As we practice and become accustomed to acting with proper Moo Do Jaseh, everything we do becomes ceremonious, not as a result of vain repetition, but as a result of sincere, consistent, and natural effort. Actions become ceremony as we tie our belt, ironing our do bok, clean the dojang, and help each other. When all of these things become ceremonial, you become more than a martial artist. You become an artisan of Soo Bahk Do. The art defines you and you contribute to the definition of the art. When you become an artisan, everything you do becomes a serenading stage, full of beauty. This is true mastery. Soo Bahk Do is more than just an activity to learn to get in shape and practice self defense techniques. It is a set of Korean principles that are available to help better ourselves and those around us. True moo do comes from seeking to learn and to apply these principles and then sharing these ideologies amongst each other as those before us have done in order to preserve this legacy of learning. The Moo Duk Kwan is an organization founded by the late founder, Grandmaster Hwang Kee to do just that. It facilitates the movement of ideas and principles and allows us to connect with people of similar passion. Our Moo Duk Kwan pride should come from our proper application of Moo Do Jaseh in our members, which will make a positive change in the societies in which they live. Last weekend I attended the 2010 Moo Do Festival in Cherry Hill, New Jersey. There were about 800 Soo Bahk Do practitioners in attendance. The weekend was jam packed with seminars, demonstrations, competitions, and chances to reunite with old friends and create new ones. I competed in the Sa Dan (4th Dan) division in Hyung (forms) and got 2nd place. I was pleased with the results and realize that I need work in making sure that my techniques are standardized. During the festival, there was some new information about the philosophy of Soo Bahk Do. I helped Sa Bom Nim Jang compile it into essay form and will be posting it online soon so stay tuned. It was also announced that Sa Bom Nim Moonitz was promoted to 8th Dan and Sa Bom Nim Martinov to 9th Dan. Both of these masters are in our Soo Bahk Do lineage. Congratulations to both of them for their dedication and accomplishments. Without them, none of us would be training in this art. I was also nominated by Gibbons Sa Bom Nim, our Regional Examiner, to represent Region 8 as a Youth Ambassador. I’m not completely sure what that means yet, but all 10 of us demonstrated during the opening ceremony of the Festival. We trained the day before very hard in preparation and it was a good chance to meet the other ambassadors and create relationships with them. I was honored to be counted as one of them. Many were school owners and all of them were dedicated to the art. Below is our demonstration. I think a lot of what the Youth Ambassador program is designed to inspire, teach, and lead the Soo Bahk Do youth to do great things in their young martial art career. I hope to post more videos and photos of Nationals here soon so check back often. The other one I’d like to show is Steyer Sa Bom Nim’s demonstration of the Moo Yei Do Bo Tong Ji and Moo Pahl Dan Kuhm. He and his partner were the champions in the Ko Dan ja pre-sequenced sparring demonstration. Can you see the Pal Gwe in the demonstration?